Many teachers feel a little apprehensive about incorporating 3D printing into their programs. We hope to dissolve some of this apprehension by sharing with you our top ten things teachers should know about 3D printing. Many imagine 3D printers to be something not too dissimilar to a 1950s computer— humungous and cumbersome. However, most 3D printers are smaller than a desktop printer. They are incredibly space efficient and will not take up much room in your classroom or school’s computer lab. 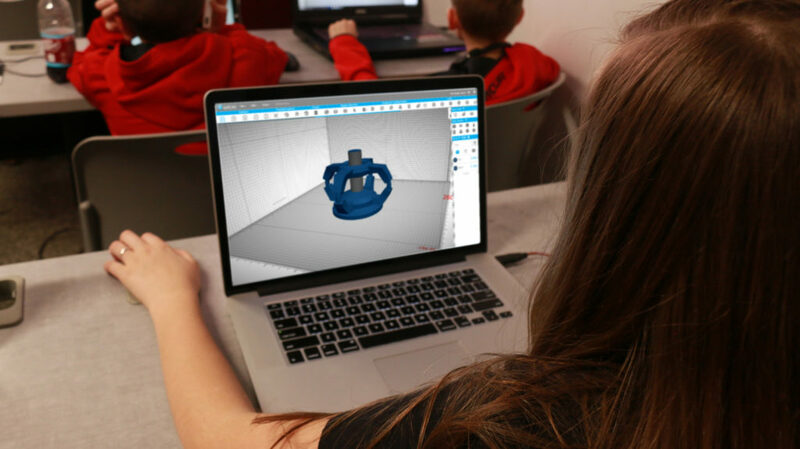 Of course, it will take time for students to craft their creations in the 3D design and modelling software. It’s also important to remember that the printing process itself takes time too. Depending on the 3D printer model and the speed setting you select, a print can take anywhere from 2 hours to 6 hours or more. This is an important thing to bear in mind when planning lessons around the 3D printer. Many teachers worry about how much time they’ll need to put into teaching and guiding students through the entire process. However, there are several software packages that are designed for students and beginners. They will be able to pick it up and start driving their own learning fairly quickly, especially if you get them into it at a young age. As with any other regular printer, a bit of maintenance of your 3D printer is required. This can be anything from loading up the needed materials, to cleaning and servicing. 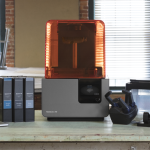 Of course, most 3D manufacturers will provide some written guidance as to how to maintain your printer, but it’s important to remember that this too will take some time. However, there are several things you will need to do to ensure that it is safe. For example, thought needs to be given to the materials used in the printing process and the fact that parts can be easily swallowed by children. A good first step to ensuring safety would be to buy a 3D printer that is designed for the target age group. Before students get struck with ideas of 3D printing intricate designs in color, you may have to remind them that most printers only print in a single color. If their designs are more practical in nature, this may not be of concern. To get color into your prints, some sort of post-processing coloring technique is required, such as those listed here. Be sure to know where your students are getting their designs from (if they haven’t designed it themselves of course). One article reminds users, “Just as digital content creates broad opportunities for copyright violations, 3D printing could open the door to patent infringement.” The beauty of SelfCAD is that has already teamed up with MyMiniFactory to provide a database of already completed 3D printable designs, making thousands of 3D objects available for immediate printing. No need to worry about copyright infringements. Of course, the running costs depend on usage patterns, the type of printer and materials used, and many other factors. 3Dprinthq.com offers a fairly comprehensive 3D printing cost calculator, if that helps. My only piece of advice would be, make sure a student’s 3D design is up to scratch before sending it to the printer. There is really no point in printing blobs that serve no purpose, and wasting the materials on such-like prints when they could be used for some truly innovative and well-designed ones. There are copious opportunities for cross curricular learning with 3D printing. Take a look at some suggestions here, here and here. Really, all you need to do is use your imagination and get together with the other departments in your school and you’ll be able to churn out numerous ideas for cross-curricular learning sessions. We hope you have found our top ten things teachers should know about 3D printing list useful. 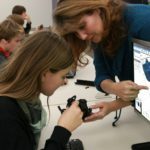 Have you successfully implemented 3D printing in your school? Have any tips? Be sure to share them with us in the comments below! 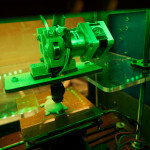 Who is Responsible for 3D Printing and Print Jobs at Your School? Jonathan Gross is the Director of Marketing of the 3D modeling and printing software, SelfCad. He studied marketing at the University of Central Florida and works with 100's of teachers around the US to help integrate technology and 3D printing into the classroom. You can follow him on Twitter @SelfCad.